You work hard, which is why you need a snack to indulge in when those cravings for something sweet strike. 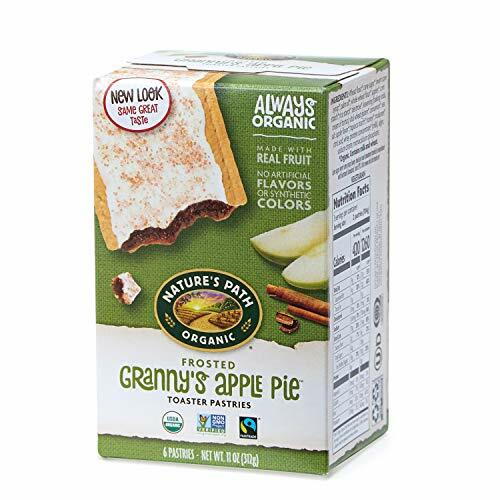 Opt for Nature’s Path Frosted Granny’s Apple Pie Toaster Pastries that are made with real organic apples, whole wheat flour, cinnamon and more. The sweet taste gives you a chance to treat yourself when you need a breakfast on the go or a warm, toasted pastry to enjoy while relaxing with a good book. These toaster pastries are also perfect for a snack when on the go. As with all Nature’s Path snacks, you’ll find that these toaster pastries are free from artificial ingredients, so you can feel good about indulging that sweet tooth.